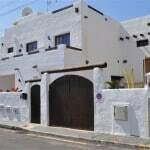 A beautiful traditional Canarian Villa, set in a tranquil fishing village called Punta mujeres in Lanzarote. There are 7 bedrooms and 6 bathrooms with a private swimming pool. There’s plenty of sun loungers by the pool or up on the roof terrace offering panoramic views of the sea and mountains. 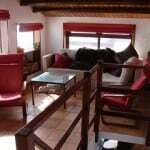 Inside the accommodation is comfortable with double or single bedrooms, cozy sofas, well equipped kitchens with washing machines and all mod cons. There is cable tv with all languages. 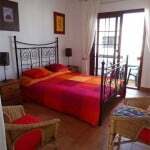 The villa is situated around 100 meters from the sea with tapas bars, restaurants and mini markets all within walking distance. The village is undisturbed by tourism and has kept it’s rustic charm. While away the hours sipping a cool beer by the ocean or enjoy the beautiful walks nearby to the famous Jameous Del Agua, the Cueves de las Verdes or the picturesque Valley of Thousand Palms. The neighbouring village of Arrieta boasts a beautiful sandy beach with a fantastic tapas bar right near the sea, which serves delicous traditional food all day long. They also make the best Mojito’s on the Island! 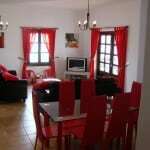 The villa can be let out as whole or in part for smaller groups giving you the choice of 3 seperate studio apartments, a 2 bedroom roof top apartment and a 3 bedroom, 3 bathroom ground floor apartment. Experience the real Lanzarote in this tranquil and traditional setting where you will totally unwind and relax with the Canarian pace of life! Once you’ve visited you will want to return again and again. 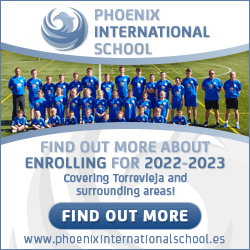 Prices start from 200 euros per week for two people.